Nothing represents a fresh start quite like a new planner. 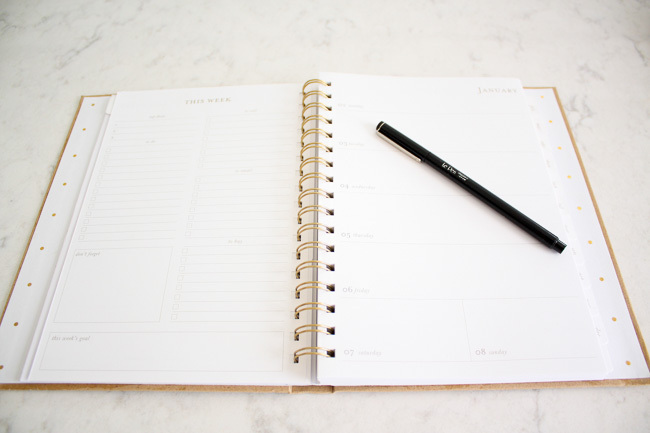 Every year I look forward to not only picking out a new planner, but also to the many crisp, empty pages just waiting to be filled with new adventures, celebrations, and the day to day happenings of my life. 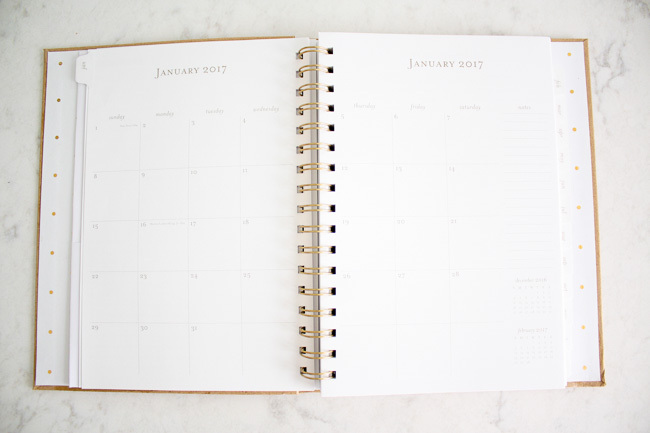 Those empty pages represent not only a fresh start but more importantly a new year and endless potential. My love for planners (and the organization they provide) developed way back in middle school when they gave them to us, and I have been using one ever since then. My first 'real' planner was my Lilly planner, which truth be told is what I have used since my freshman year of college up until this past year. My many Lilly planners served me very well, and I will miss the playful color and fun they brought to my day, but I decided it was time for a change. 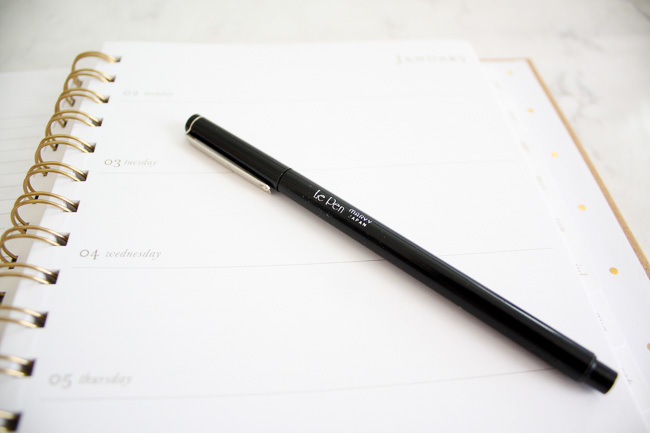 As the years go on, what you need out of a planner changes as your needs in life evolve. 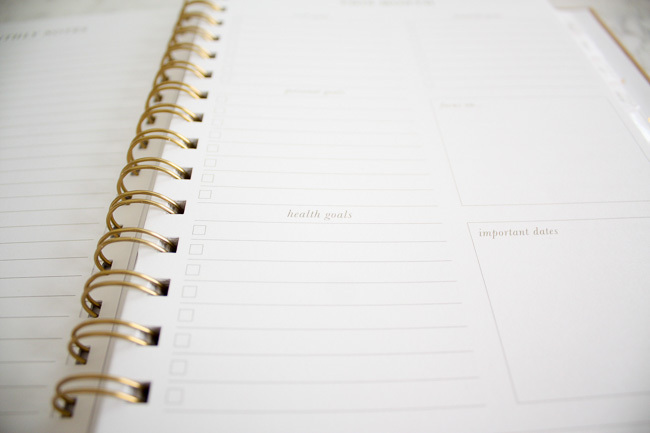 For the past five years the use of my planner revolved around school and being a student. Since that chapter came to an end, I was looking for a planner that would work best with my new roles and responsibilities, and I think I can say I successfully found one! Sugar Paper and Target have once again impressed me and left me wanting everything in their collaboration! I spent a solid twenty minutes in the aisle going back and forth between different planners but decided to go with the Signature Planner. I loved the crispness and simplicity of the design, but what sold me was the setup of the weeks. 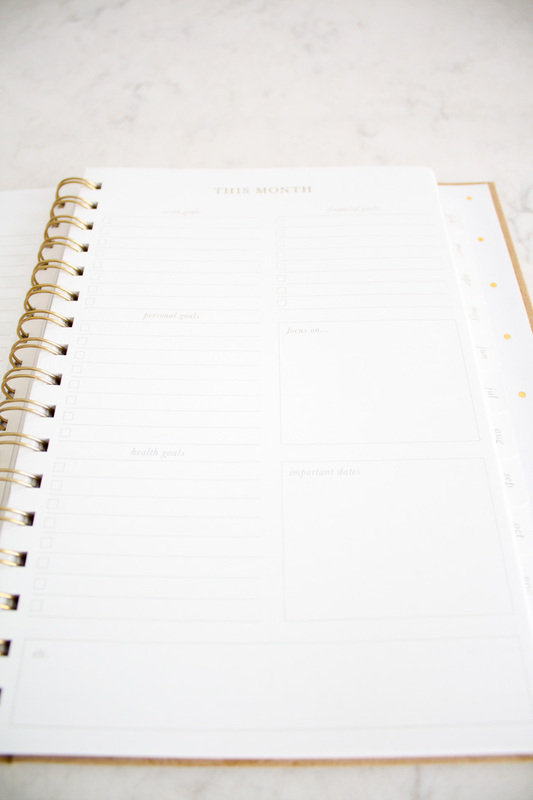 My favorite features are the 'This Month' and 'This Week' pages at the beginning of each month and week. 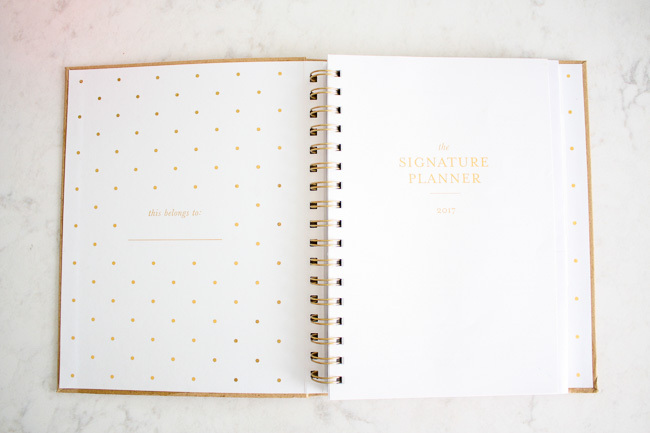 Perfect for staying organized and on top of it all! I am so excited and have been waiting patiently to start using it. It is the perfect planner for me! Of course, that's just the thing with planners - there is the perfect one for everyone and there is no 'one size fits all'. What works for me might not work for you and vice versa. It is all about finding one that fits your needs and works best with your lifestyle. The perfect one for you is out there, it's just a matter of finding it! 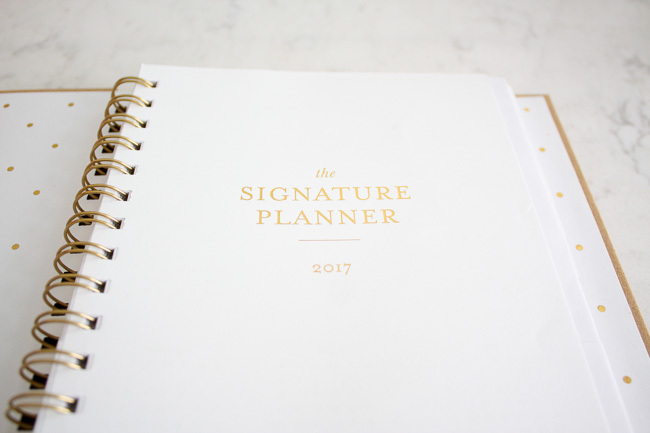 To help you do just that I have linked a handful of different planners below. 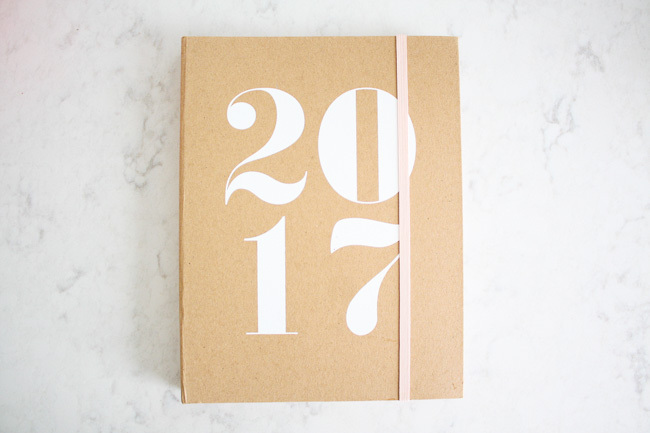 If you haven't already found your 2017 planner, check them out below. Enjoy and happy planning!